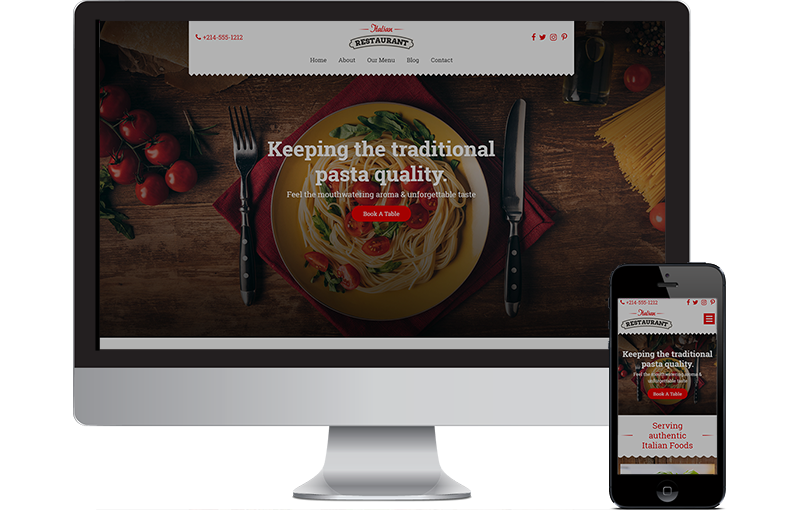 We built this Italian Restaurant website design from scratch in WordPress using our custom food menu plugin. This website is ready for you to use. We can update photos, content and modify the design. This is a quick to market restaurant website. Ready to go.